It is easy to get confused when driving on unfamiliar roadways. Those who are driving late at night and get slightly disoriented could potentially damage a mailbox or fence. In these instances, the driver could be facing a misdemeanor charge of hit and run. During 2016, more than 1,200 hit and run accidents took place in Orange County. Not all these incidents involved property damage. A hit and run accident resulting in an injury could mean the driver is facing a felony charge. A misdemeanor hit and run involves damage to another person’s property. The specifics of a misdemeanor hit and run are explained in California Vehicle Code Section 20002. A misdemeanor hit and run could occur when you are backing out of a parking spot in a large garage and you inadvertently bump into another person’s car. You notice there is a slight amount of discoloration from your bumper but no other damage, so you do nothing. You leave the garage and you head home. In this case, you have been involved in a hit and run accident. You have an obligation to provide the owner of the other vehicle your name, address, and contact information. As the owner of the vehicle which was damaged, you have the right to file a civil lawsuit to collect the costs of repairs. Civil lawsuits can also be filed if the damage was to personal property including fences, mailboxes, etc. The person responsible would have to be apprehended first but, you do not have to wait for the outcome of a criminal trial to hold them financially accountable for their actions. A felony hit and run is any hit and run accident which involves personal injury to any person other than the driver of the vehicle. If you are a passenger in a vehicle which strikes a telephone pole, mailbox, or any object and you suffer any injury, the driver is liable for your injuries. Many California residents are unaware they could face felony hit and run charges even if they are not responsible for the accident. 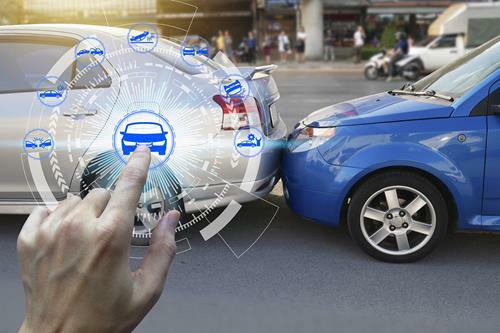 Any vehicle involved in an accident on California roadways has a duty to stop and exchange information with others involved in the accident per California Vehicle Code 20001. As with any type of car accident, victims of hit and run accidents often suffer serious injuries. Broken bones, crushing injuries, or head and spinal cord injuries can be devastating as well as costly. These injuries can result in significant financial problems for a family. In addition to paying for normal medical care, victims may also be facing surgery, rehabilitation costs, and extended nursing care. These expenses continue to add up, even while the victim is unable to work. Victims of a hit and run also must deal with issues that have nothing to do with money. Serious injuries result in mental anguish and physical pain. Depending on the nature of the injury, some victims are also facing a lifetime dealing with disfigurement or disability. Typically, victims turn to a personal injury attorney after suffering injuries in a hit and run accident. They understand the importance of seeking the advice of an attorney to ensure they understand their rights. Drivers in California must carry minimum amounts of insurance in the event they cause an accident. The coverage includes liability which is quoted as a per person or per incident amount. Some drivers also pay for additional personal injury protection (PIP) coverage which is known as Med Pay. Med Pay covers the cost of medical treatment, depending on the amount of coverage you have, regardless of who is at fault for the accident. Drivers who have opted for collision coverage may also recover the cost of the damages to their vehicle less their deductible. Drivers who are involved in an accident on California roadways are required to remain at the scene and cooperate with law enforcement officers to determine the cause of the accident. In the event you are the victim of a hit and run accident, you should provide law enforcement officers with as much information as possible about the responsible party. California statutes provide victims the right to sue for up to two years after a hit and run accident. Thanks to increased surveillance, more cell phone cameras, and the Yellow Alert system, a hit and run driver may be apprehended by law enforcement. This means you have a better chance of seeking monetary and non-monetary damages from the responsible party. Victims of hit and run accidents do not always know what rights or what options they have. Once you have sought appropriate medical care, you should speak with an attorney who has experience handling personal injury cases. Your options will depend heavily on whether the guilty driver has been identified by law enforcement. If the driver is apprehended, you have the right to file a personal injury lawsuit to recover costs of your medical treatment including surgery, doctor visits, and rehabilitation. Additionally, you have the right to sue for other damages including lost wages, disfiguration, and pain and suffering. Remember, even if the person responsible has not been identified immediately after the accident, there is a possibility they will be apprehended. Since personal injury cases are subject to a statute of limitations in California, waiting could cause you to lose your right to pursue damages. If you have suffered an injury or lost a loved one in an accident caused by a hit and run driver, consider contacting Aitken * Aitken * Cohn online or call (714) 434-1424. Even if law enforcement has not identified the driver, you need to understand your legal rights in the event they are apprehended.